Although rumoured to be nearing the end of its shelf life, the iPod shuffle is still with us - and it's cheaper than ever. While reports of its death were exaggerated, the latest shuffles feel a bit like a bargain basement clear-out. A new 2GB model slides in as Apple's cheapest music player for just £45, while the 4GB version costs £59. Both players have the VoiceOver feature - just press a button to hear the song title or artist you're listening to, and VoiceOver interrupts the music to tell you. It will read out the name of your playlist and when its battery needs charging, VoiceOver tells you that, too. Apple has listened to users fed up with their own dodgy earbuds, and announced that third party manufacturers including Klipsch, Scosche and even Sony are supporting built-in headphone controls to work with the shuffle. 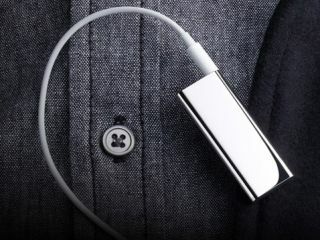 Belkin and Scosche offer built-in headphone adapters allowing users to enjoy iPod shuffle with their own headphones. The pocket money player will come in five colours (silver, black, pink, blue and green). A polished stainless steel special edition 4GB player is also available, although it will set you back £75 and can be found in Apple Stores only (retail and online). All players should be in shops imminently.